Watch Over Your Vancouver Business 24-7! From traditional closed-circuit television (CCTV) monitors to digital IP video surveillance cameras, your choices for video monitoring can be bewildering. You can opt for a security camera that generates 10-second clips to verify intrusions. Or a sophisticated remote guarding solution that monitors your property 24/7/365 using the latest video analytics technology. Or a combination of these and other technologies. Radius Security offers a full range of video security solutions. Which one best suits your needs? Traditionally, CCTV monitors and security cameras form the core of most video surveillance systems. 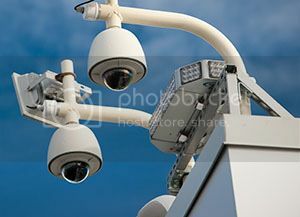 The term refers to a system of arranging security cameras (in a closed circuit), rather than a specific type of camera. In fact, CCTV systems encompass a wide range of cameras. While CCTV has a variety of applications, not all CCTV cameras are ideal for outside video monitoring. Protecting outdoor assets requires sophisticated security cameras that have lenses with adjustable focal lengths, adapt to changing lighting conditions, pan/tilt/zoom (PTZ) and can be operated remotely. Radius’ Redhanded™ remote guarding system uses Human Detection Technology™ video analytics software to analyze and track input from these more sophisticated cameras. Unlike traditional CCTV video surveillance systems, Redhanded™ does not rely on human guards to monitor video feeds 24/7. Our video analytics software never sleeps, and allows you to monitor your site from anywhere in the world. Learn more about Redhanded™ remote guarding. 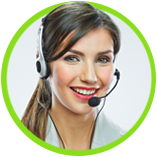 Video Alarm Verification adds a critical layer of protection to any video surveillance system. Because 95 to 99 per cent of dispatched calls from security systems are false alarms, police respond when and if they can. However, if you can provide video to verify a crime in progress, police will assign your incident top priority. With Redhanded™ remote guarding, Radius security personnel have continuous access to video footage of any suspicious activity. They can give police dispatchers a play-by-play of what is happening on site. As an alternative to a 24/7 security video feed, or as part of your remote video monitoring solution, we also have cameras that generate video clips only when an intruder trips an alarm. Then the VAV system immediately sends a 10-second video clip to our video monitoring station operators and to your smart phone. 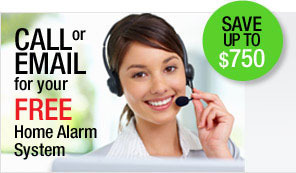 Our operators and you can both verify the alarm from the clip and notify police. Sign up today with Radius Security. More about Video Alarm Verification. Contact Radius Security today to set up your own Vancouver video surveillance and virtual security patrol package.